While the Wooden Sky have yet to announce a follow-up release to last year's Let's Be Ready collection, the indie roots crew are prepared to take some new tunes to the people this fall. They've just announced they're road-testing material around Ontario come October. Though details have yet to arrive about the band's fifth LP, the band have revealed that they're already head-deep into the making of the album and they're ready to test out some of the current cuts onstage. In addition to new songs, fans can also expect to hear older material from the Wooden Sky's first four albums. "Friends, we've been busy in the studio over the past year and we're happy to announce we'll be sharing a new record in 2017," percussionist Andrew Kekewich explained in a statement. "We miss you though, so we're hitting the road this fall to play some of our favourite venues in and around Ontario. Come out, say hi, and catch a sneak peak of what we've been up to!" 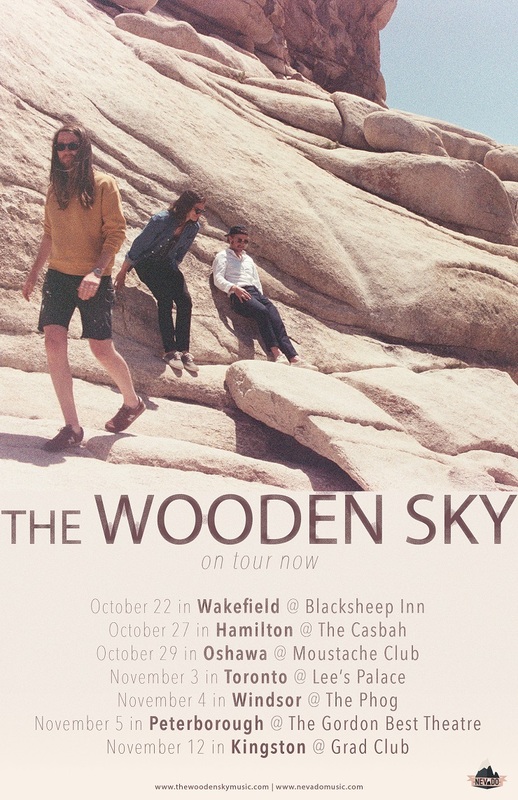 Below, you'll find the info for the Wooden Sky's upcoming run of dates. Beyond that, you'll find a freshly prepped video for Let's Be Ready closer "Don't You Worry About A Thing."